Showman ® single-ear leather headstall with turquoise studs and concho accents. Features bronze buckles and nylon double enforced lower. 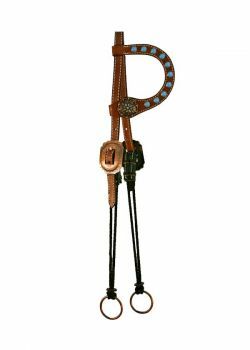 Showman ® Rope gag headstall with sweet iron mouth bit. 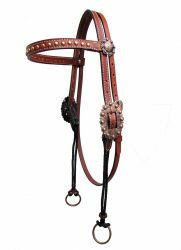 Showman® Single ear nylon gag headstall. 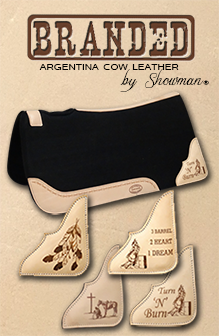 Showman® Gag headstall made of American oiled harness leather. 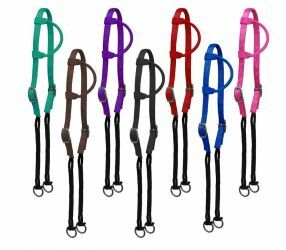 Showman ® Rope gag headstall with dogbone bit.